After speculations concerning Sony’s PlayStation Tablet, the japanese company finally confirmed two new Honeycomb slates. 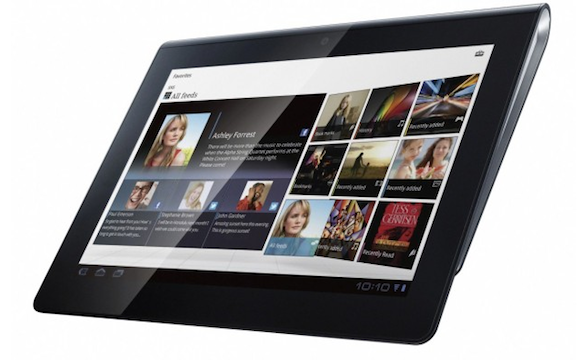 The 2 Tablets, Sony S1 and S2 are running Android with a Tegra 2 processor. 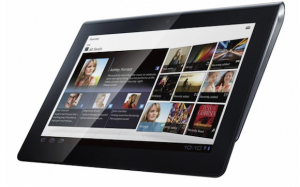 Sony S1 looks like a standard slate, with its 9.4 inch display (shown above/bigger unit) and supporting PlayStation integration and Qriocity media suite. 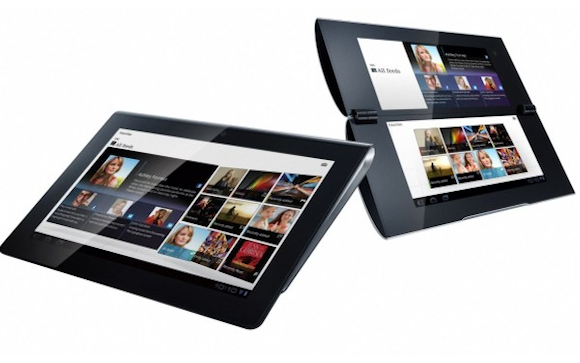 The Sony S2 is unique in it’s design, since it’s a dual screen Honeycomb device with two 5.5 inch 1024 x 480 screens, that can be used together as one large display. Will the hinge get in the way like on the Kyocera Echo? We’ll have to wait and see. More major specs haven’t leaked yet. The products will debut at Christmas time; will keep you updated!